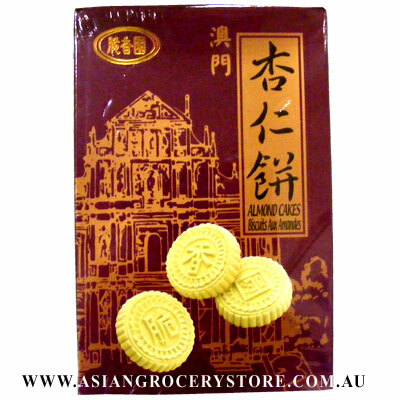 Minimum quantity for "Chui Xiang Almond Cakes" is 1. Green Bean Flour, Sugar, Almond, Vegetable Oil, Peanut. This Product Contains Tree Nuts and Peanuts.